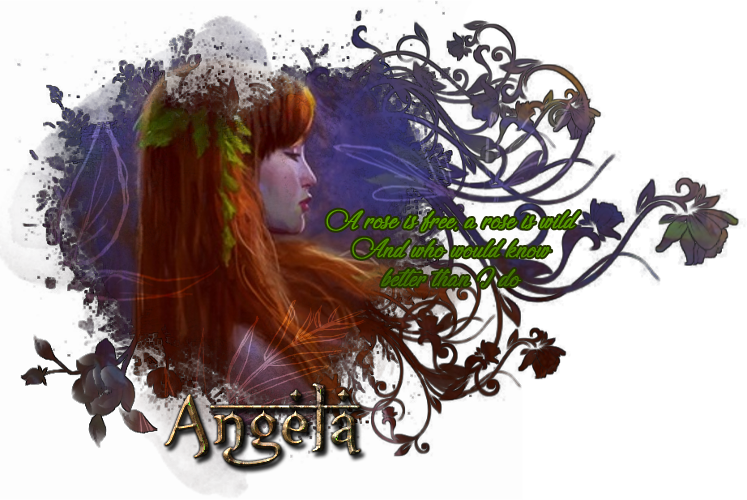 Angela has many openings for those that wish to follow her but do not be so relaxed about it! She might test you or she might just let you through. Once you are a part of the clergy you may have a room within the temple. 1. Temple Caretakers: Take care of the plants and greet guests. 2. Clerics/Healers: Take care of those that barely make it to the shrine or come here for healing. 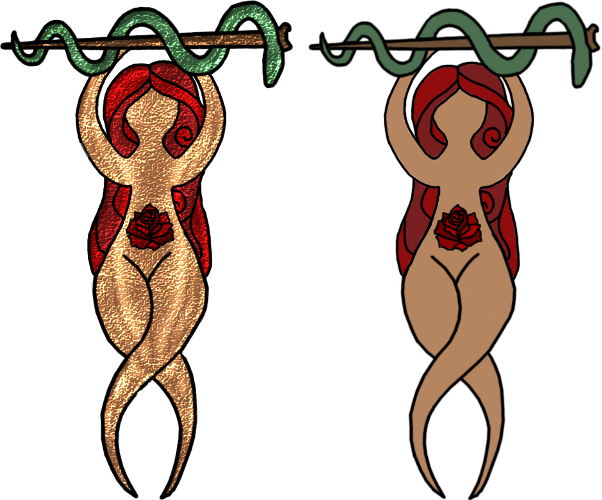 One is the stained glass version and the other is the regular every day sigil most use. Angela can create artifacts that last for a little while (so they don't require custom items) however if you would like them to become custom items you need a voucher. These artifacts can be used to locate someone, find the cure to your disease, etc. Send me a pm to see what Angela can do for you. Please adhere to the general rules of Revaliir at all times. All rules within The Awakening Gardens are simply additions that must be followed. You are not required to rp out the entirety of my trials but give me something to work with so that I can try and grasp your character. However, I don't require you to react to everything. If you want you could even pm me simple little details about how your character would respond to the trials that you didn't include in your post! A 50-word minimum is required for all posts, however, a 250-word minimum is preferred (but not required). Please keep all posts within The Awakening Gardens - this includes any of the areas. - do not post things that have no place here (unless otherwise discussed and approved). [P] - Private - Only users who have been given permission by the thread’s creator (and myself, unless otherwise notified) may reply to this thread. [NG] - No God - This means that I don’t have to come in. Though I reserve the right if you are doing something that Angela wouldn’t like. [O] - Open Thread - Please tag posts using this tag if you do not have a specific person in mind to reply. [GO] - God Only - This means you only want Angela to reply. 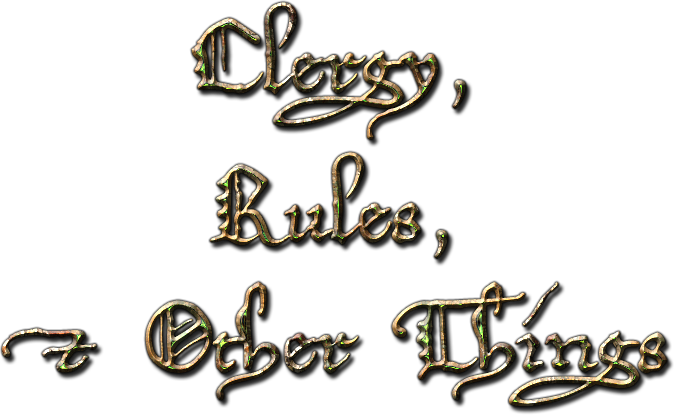 Other post tags may be used as needed (can be found in Revaliir’s rules). 6. If you are interested in having your character serve The Awakening Gardens, please PM me. We can work out the details. 7. Do not deface Angela’s Temple. She will be very, very upset at you. 8. I reserve the right to god mod completely in my temple. 9. Do not under any circumstances hurt any children within the temple or realm. 10. I can enter any thread unless marked appropriately. I will enter NG if you are breaking rules. Luxuria Mortiferum - If you can manage to get to the door in Angela's main temple it will open up into a portion of the Soul-Stream which goes directly to Dalanesca's temple. You must go through Angela's trials to get to this door though. Tar Eisalae - Most major areas of both temples are merged but Angela also has a mirror hidden away that one could theoretically go through with her permission. Read the merging announcement in the main temple forum for more information.